or you can E-MAIL us & we'll send you a copy! 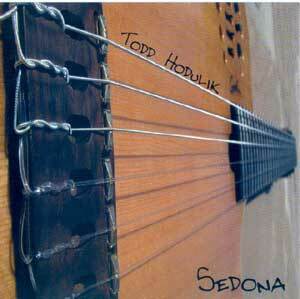 Todd Ashley Hodulik (pronounced, HUD-LICK). Call (760) 320-1800 to request it! Please check out these wonderful musicians!! 9/15/09 Look For Todd Ashleys New record "Funky Nylon" due for release in October!!!!! 10/1/08 We are back at the Hyatt Grand Champions Thursdays & Fridays 8:00-12:00 come check it out! taste some GREAT wine and cool tunes!!!! 3/15/07 Todd will be at Okura Robata Grill and Sushi Bar in La Quinta every Wednesday in March and April 6:30-9:30ish. 3/5/07 Sedona will be returning to the La Quinta Arts Festival on Thursday March 15th 1:00-5:00, Come down and check it out! 1/5/07 Every Sunday Todd will be returning to Copley's Restaurant in Palm Springs from 11:00-2:00 for Sunday brunch. 10/2/06 Sedona will be at Desert Willow Golf Resort again on Thursday Oct. 19th from 6:00-8:30. Its Free so come check us out! 9/2/06 Sedona will be performing at The City of Palm Springs Concert Series on Tuesday Sept. 19th 7:30-9:30. Its free so come on down. 8/5/06 Todd is currently in the studio working on his next record. Stay tuned for some sound samples on the audio page. for Sunday brunch. The food is great, with a cool vibe outside on the patio. See ya there! 5/9/05 We finally got the pictures up from the Gardens On El Paseo check them out by clicking HERE!! 3/8/05 Hello all, two big shows in the month of March for Todd and his five piece band. The first one is at the annual City of La Quinta's Art festival on the 19th from 1:00-5:00pm. The Second is at The Garden on El Paseo 2005 Wine & Music Concert Series on the 26th!!! The National Weather Channel(Time Warner Cable CH. 28). entertainment writer for The Desert Sun. 6/24/04 Check out the Interview in Desert Entertainer Magazine!! !